I welcome you to Nrityabhakti Dance Academy, an institute devoted to dance. 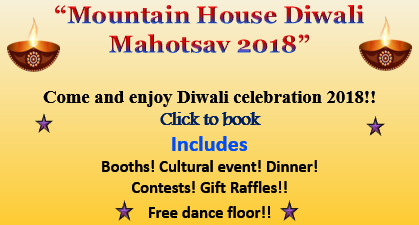 Here you will learn and perform various types of Indian dance forms. The major dance form at the academy is the Indian classical style "Bharatnatyam" Besides the classical style, we also perform semi-classical and Indian folk style dance. Bharatanatyam and folk dances require specific costumes. Supriya has big collection of dance costumes and jewellery. We have complete imitation dance jewelry sets with belt, long chain, necklace, bangles, jimiki, nath, head-set, mattil and Rakodi. performing a traditional Bharatanatyam Margam! Tickets: $10 before March 20th, $15 at the door.